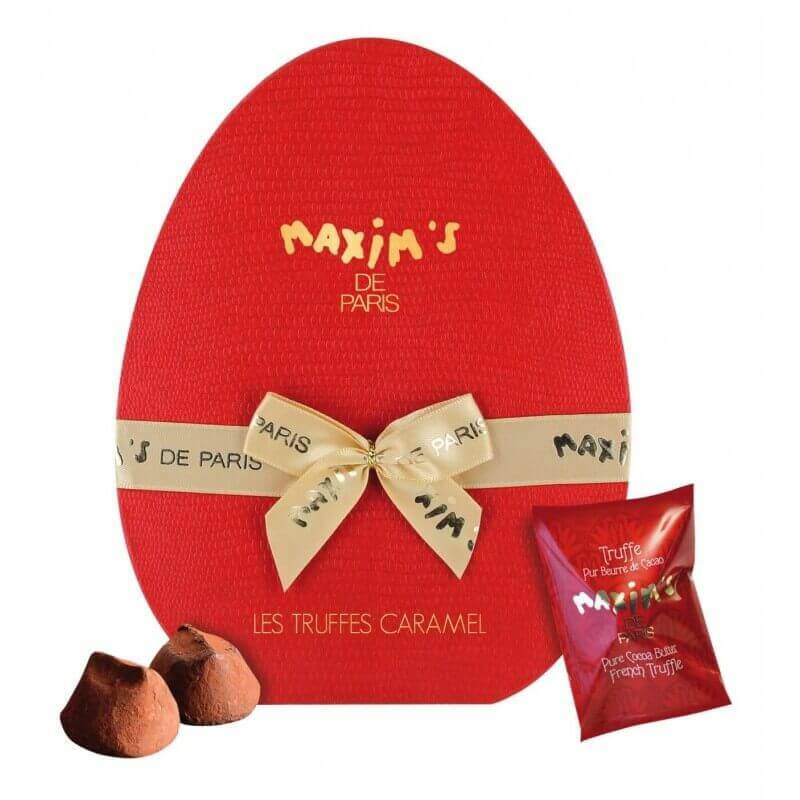 A lovely red hat-box, adorned with a golden Maxim’s ribbon containing 10 caramel French truffles. Allergen: May contain traces of egg, hazelnuts, almonds. Valeurs nutritionnelles: Energie : 2417 kJ - 583 kcal, Matières grasses : 44.2 g, dont acides gras saturés : 27.6 g, Glucides : 36.3 g, dont sucres : 32.9 g, Protéines : 5.6 g, Sel : 0.1 g.
In a Maxim’s red gift hat-box, 10 pure butter French truffles with caramel nuggets. For a better preservation, each truffle is individually wrapped.